This Cape Winelands Guide to Cape Winelands history offers a glimpse into the rich heritage of this area in the Western Cape, South Africa. In Cape Town, the first pressing of the honourable grape took place in 1659. 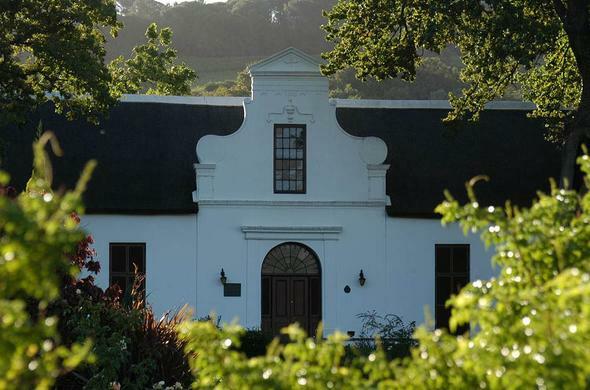 Cape Winelands history has unfolded over the last 350 years with a rich tapestry of events. A Dutch Commander (and later the first Governor of the Cape) stepped ashore in 1652, his mission - to establish a provisioning station for ships from the Dutch East India Company, sailing round Southern Africa. Fortunately for us, Jan van Riebeeck saw the potential for grape growing!Vines from France, Rhineland and Spain were first imported in 1655 and planted in the Company gardens. Jan van Riebeeck also planted vines on his farm named Boscheuvel (now the suburbs of Bishop's Court and Wynberg). Van Riebeeck's successful winemaking venture inspired others from within the Company to do the same.The second Governor of the Cape, Simon Van der Stel was a wine enthusiast and experienced in Viticulture. Taking over the helm in 1679, he brought a wealth of skills to boost the Cape Winelands industry which still had a long way to go in terms of quality and notoriety.The new Governor made a number of excursions just inland from the Cape colony. He was particularly impressed with the beauty surrounding a camp next to the Eerste River (First River) - this spot was named after him and called Stellenbosch in 1679. Within a year, settlers had started to arrive in the frontier town.Van der Stel planted many vines on his estate, Constantia on the lower Steenbergen slopes at the back of Table Mountain. Sweet Constantia wines, in later years, went on to gain fame and world wide renown, the first from South Africa. For almost 200 years, Constantia wines were ever popular and sought after by European nobles and luminaries, even Napoleon was a fan. These estates were visited by numerous high profile people and became the first wine estates in the Western Cape.Early Dutch colonists in the Windelands, not having a strong wine tradition in their heritage, struggled to get to grips with producing wine in the Cape, quality in general was poor. Governmental authorities were actually aiming for more grain production to meet the demand of the provisioning station and Viticulture was a secondary concern, land was opened up further afield from the Cape Peninsula to this end (Stellenbosch and Drakenstein). A turning point was reached when in 1688, many French Huguenots, fleeing religious persecution in their own country, were settled in the Drakenstein Valley (Franschhoek). Among their number were those experienced in wine making and Viticulture, which gave the fledgling Cape Winelands a much needed boost. In just 2 decades Viticulture (for which the area was better suited) overtook grain growing in this region to become the highest producer of wine over Stellenbosch and the Cape. Mixed fortunes dogged the Vin Ordinaire produced in South Africa right into the 1800's. Too much poor quality wine was being produced for an unsophisticated and non-sustainable local market. Internationally, demands for Cape wines were erratic. If overseas wine crops failed they looked to the Cape, during war time Cape wines sold, in peace time they did not. Uncontrolled planting of vineyards, surplus stock and lack of quality wine making skills (that could be adapted to South African conditions) prevented any real progress for many years in the Cape Winelands except for the Constantia wines.Various spikes in demand over the following years could not keep local troubles at bay. Economic dramas ruled the day until the final blow in the 1880's when a devastating invasion of Phylloxera (which had already swept around the world's prime wine producing areas) was found in vines growing in Mowbray, Cape Town. Despite best efforts by all concerned, the insect pestilence spread into the Cape Winelands. In the end, the only course of action was to uproot and burn all the infected vines and replant with, Phylloxera resistant American stock, and successful European / American rootstock grafts.Millions of vines were destroyed causing huge financial losses. This disaster did have a monumental impact but initially it also propelled the Cape Winelands into a different direction, with lower wine production came better prices and farmers started growing other crops (such as fruit trees) to supplement their wine growing. Poor quality of wine and uncontrolled planting of vineyards still remained a problem though. Brandy making (using any excess wine supplies) enjoyed huge popularity at this time which continued into the early 1900's. Wine and brandy sold well during The Boer War years (1899 - 1902), but prices dropped dramatically thereafter. The wine industry was in crisis.Charles Kohler was the founder of the KWV (Ko-operatieve Wijnbouwers Vereniging van Zuid-Afrika, Beperkt). He threw Cape Winelands wine growers a lifeline by developing a lasting blueprint for the future of wine in South Africa. The KWV came into being in 1918 in Paarl, as a co-operative wine-growers association dedicated to stabilising the industry, controlling production and setting minimum prices to ensure livelihoods. This set a trend for years to come where various co-operative cellars were able to harness capital and improve quality standards across the board. After the World War II, technological and scientific advancements further enhanced the rejuvenated South African wine industry, although the apartheid policies applied after 1948 brought sanctions from many quarters. The Viticultural and Oenological Research Institute (Nietvoorbij) was founded in 1955 in Stellenbosch. Better training, methods and equipment increased the quality of wines but it was not until 1959, when a semi-sweet, white, everyday table wine was launched (with a massive advertising campaign), that South Africans sat up and took notice. This wine became the biggest seller world wide in 1965. Changing drinking patterns around the planet encouraged the growth of brand name white wines dramatically.Since the 60's and 70's white wines followed by red wines have soared in popularity and also quality. In 1971 the Stellenbosch Wine Route was launched, the first of its kind. In 1990 Mandela was released and South Africa fell in the spotlight and received better acceptance of its wine.Young Cape Winelands winemakers have travelled the globe to learn new techniques and enhance their skills. Advancements in all aspects of wine growing and production, education, broader legislation as well as increased marketing and advertising have placed the South African wine industry where it is today, a producer of high quality wines for all tastes. Cape Winelands history has unfolded over the last 350 years with a rich heritage.